We finally got our first Thabit foal last night a big chestnut filly with a white star and stripe and a white sock or more (it's hard to tell the baby fur is all golden all the way down at this point)! 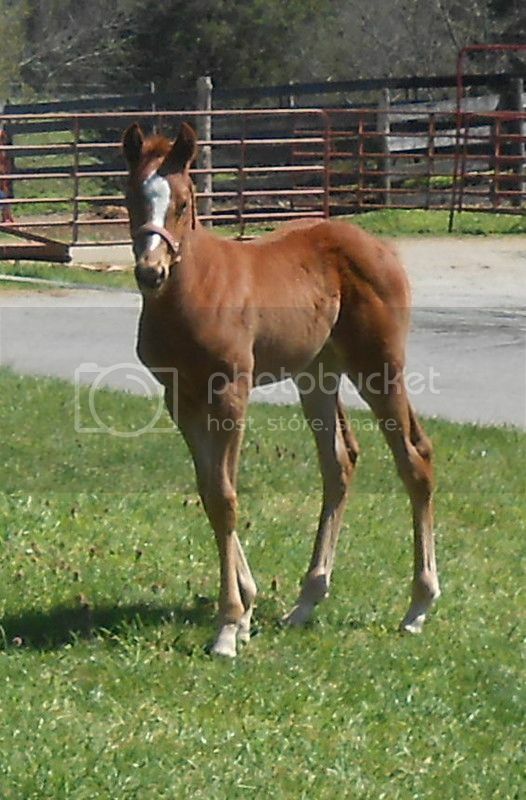 Out of my old bay mare Smoldering.. names anyone? Pics on the next sunny day I promise! Last edited by madelyn on Sat Apr 09, 2016 7:34 am, edited 1 time in total. She actually has four whites. We are leaning toward "Hot Number"
I like that! How do you say Thabit? I think the way it's spelled - rhymes with rabbit. It's the mathematician that discovered 321 Thabit numbers. It's a bit out there; my brush with Thabit numbers was upper division college level Computer Science stuff. Fundamentally it's still Algebra I think. Thanks she is going to be sweet and tractable and trainable like both of her parents.